The first is in the care of Bradford Museums and Art Galleries - at Cliffe Castle. Oak Frame, with pediment. with the words "Ich Dien" . 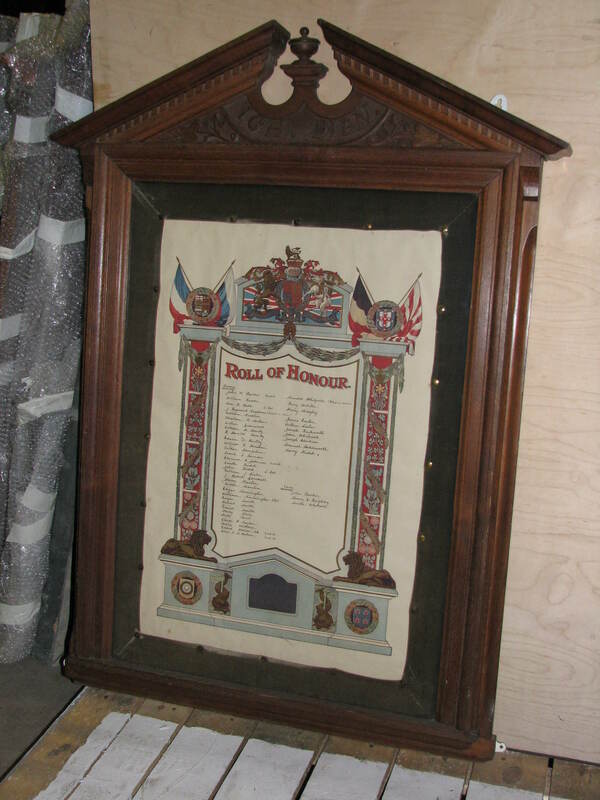 In the frame an elaborate Roll of Honour. At the top the Union flag superimposed by the Royal coat of arms, flanked by 4 flags superimposed by shields, surrounded by Laurel leaves. The whole is supported by engraved flanking columns with lions at the base. There is no makers or engravers mark. 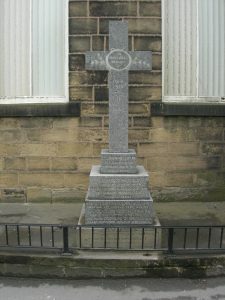 Polished Granite Cross on a three stepped sandstone base, approx 6ft high. The lower base contains three names from the second world war, and the upper base contains two names from the first world war. 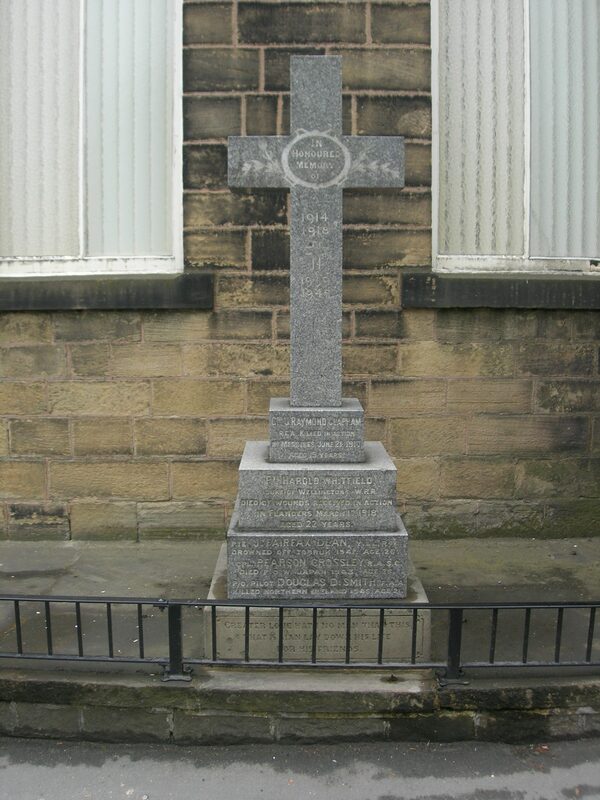 Unveiled in the first week in October 1920, by the Lord Mayor of Keighley, Alderman M.F. Binns. See Bradford Observer Budget Friday October 8th 1920. Gnr. J. Raymond Clapham, R.G.A. killed in action at Messines, Jul 21st 1917, age 19. Pte. Harold Whitfield, Duke of Wellingtons W.R.R., died of wounds received in action in Flanders, March 17th 1918, age 22 years. Pte. J. Fairfax Dean, Y & L Reg, drowned off Tobruk, 1941, age 26.